LEAD TIME, from order date until time of delivery, is generally between 4 and 6 weeks. Need it sooner? 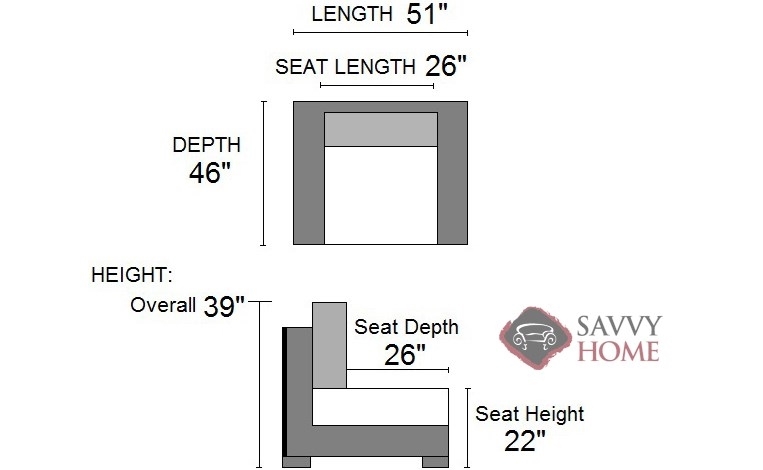 Check our Quick-Ship Gallery or call (888) 770-SOFA. 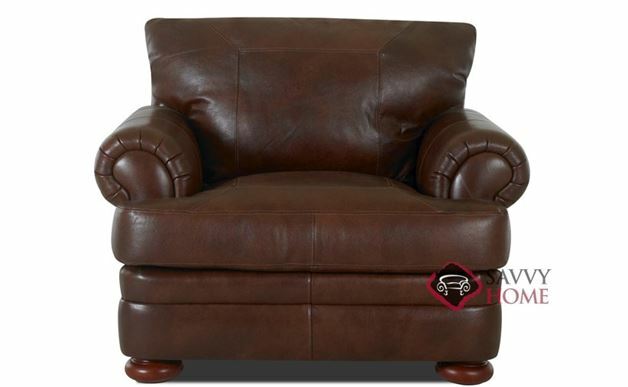 The western style Montezuma Chair will introduce casual comfort to any living space. A classic front panel, large rolled arms, T-cushions and wooden bun feet combine to provide an environment perfect for hours of lounging. Down-blend cushions are included in this product. Down-blend cushions combine waterfowl and down feathers to provide a superior, plush seat. As an interior designer who often hosts potential clients for sit down meetings, it is absolutely essential that my home look PERFECT. So I can't just go around buying random furniture. The Montezuma is truly a beautiful piece. I don't usually go for nailheads, but I think with sloping arms and and an old fashion feel it adds the perfect touch to this chair. I love the way this chair looks in my home and even more importantly I love the impact it has on my clients. Thank you Savvy Home. I owe you one! USA! USA! USA! This is a terrific piece of American craftsmanship. I try and buy American products whenever possible, but typically they are just too expensive. The quality of this Klaussner at this price, is nothing less than a steal. It's got a nice deep seat, and has a very sturdy feel. I would most definitely recommend this chair to any conscientious shopper. Wow. Just wow. This is such an awesome chair. I just received mine last week, and wow, haha. Really though, this is a high class piece of furniture. If such a thing is possible, I think it's too nice for my house. I told my husband that we need to invest some more into the décor and buy a couple more chairs. He said he'll think about it. That's potentially good news for you Savvy Home! Do you have the Montezuma Chair and Ottoman with nailheads? Thank you! Absolutely, the Montezuma is available with nail heads. While it is not currently showcased on our website, we are working on making that change. By calling in to speak with one of our sales associates, we can be sure to include nail heads with this style.